Assoc. 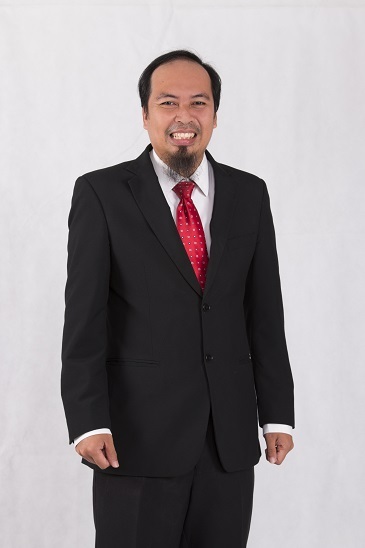 Prof. Dr. AHMED RAZMAN Abdul Latiff is the Associate Professor and Manager of Business Development of Putra Business School (PBS). He holds a Bachelor Degree of Accounting and Finance (Honours) from Lancaster University, United Kingdom, a Master Degree of Accounting from Nanyang Technological University, Singapore and a Master Research Degree in Accounting and Financial Management from Lancaster University, United Kingdom.He also holds a PhD in Corporate Governance from Liverpool John Moores University, United Kingdom. He has been instrumental in developing the MBA curriculum that infuses Human Governance at PBS. He has presented and published numerous papers at various conferences and journals as well as been awarded various research grants. He has successfully supervised more than 90 students of PhD, MSc and MBA. He is also an Associate Member of Malaysian Institute of Accountants. Since 2012, he has been appointed as one of the Intellectual Properties Evaluation Panel for Universiti Putra Malaysia (UPM), which involves in identifying the potential commercialization of UPM inventions. He is currently in the board of directors of a startup specializing in technological products in healthcare. Since 2012 until now, he is one of the Nominating Committee Member representing Malaysia for the Asian Entrepreneurship Award based in Japan. As a regular commentator in radio programs and TV talk shows, he has been passionate about a very wide range of interests including accounting, economics, finance, entrepreneurship, human governance, corporate governance and ethics. He is the Vice President (Finance) of Case Writers Association of Malaysia as well as the Editorial Board member of Asian Journal of Case Research. He has published ten case study articles in reputable journals and authored many journal articles, chapter in books and magazine articles. He was also one of the case writers for various organisations such as Ministry of Higher Education Malaysia, Malaysian Institute of Accountants, Association of Intellectual Property Owners and Tabung Haji. He has also provided consultations to TEKUN Nasional, SEED, Prime Minister’s Office, Razak School of Government, Ministry of Higher Education Malaysia and National Audit Department and trainings to MCMC, MAPIM, UPM, Yayasan Bank Rakyat and TLDM. He is the Chief Examiner of Corporate Governance for The Malaysian Institute of Chartered Secretaries and Administrators.